Thanks Mikey for posting that link. That said, I still don't understand why the course was planned as it was. The quickest route to the last control is clearly through the OOB. This is asking for trouble. I can't see an obvious reason for the OOB but assume there was some reason other than to create an artificial route choice. If I was Planner (or Controller) I would have come up with something different to avoid the potential (or actual as it turned out) problem. The Planner also makes a good point about the constitution of the jury. Homer wrote: The Planner also makes a good point about the constitution of the jury. If true, it does seem a little concerning - I can't imagine many other sports allowing coaches to make rulings about the results of an international competition that their athletes were taking part in. It's interesting that in the OCAD export shared by the planner the purple overprint clearly obscures the road, whereas in the photo of the printed map shared by Eva Jurenikova the road clearly obscures the purple overprint. The former is much less ambiguous, but - as the planner points out - it's the latter that actually complies with ISOM. I'd always be a bit nervous about using the out-of-bounds route symbol to rule out a viable routechoice, as it's almost guaranteed to result in controversy over what to do about the competitors who decide to run along the verge of the forbidden road. OK, here's a test for you. Is the track through the Olive Green NW of 11 in bounds or out of bounds? Scott wrote: It's interesting that in the OCAD export shared by the planner the purple overprint clearly obscures the road, whereas in the photo of the printed map shared by Eva Jurenikova the road clearly obscures the purple overprint. The former is much less ambiguous, but - as the planner points out - it's the latter that actually complies with ISOM. With the transparent overprint effect solid black lines will always show though the purple on a printed map even if it appears to be layered on top on a screen - or a digital print. So on the competition map there will have been a continuous solid black line not crossed by any visible purple lines. There is no way that competitors could know from the map whether the road was within a continuous OOB area or between areas of OOB in the terrain. So long as they kept to the road they will not have stepped on any area depicted as cross hatched on the map. They will have looked for a route on the map and seen the black line. The Planner - knowing the road was intended to be OOB - will have interpolated the purple lines so will have seen a contiguous block of cross hatching. Last edited by pete.owens on Wed Oct 10, 2018 2:27 pm, edited 1 time in total. baronmax wrote: ... Is the track through the Olive Green NW of 11 in bounds or out of bounds? It seems to lead to an in-bounds car park, so could be in-bounds - if so it would be better if the olive green stopped short of the track on both sides. But equally the buildings within the olive green are clearly supposed to be out-of-bounds, so the road could be as well. So impossible to tell. For the JEC competition map it seems clear even on the photograph that the OOB hatching isn't broken when it reaches the road - when it would have been simple to do so. So the road must be OOB. Did people think the crags were in-bounds as well? - unfamiliarity with the fact that ISOM2017 mandates transparent overprinting. On the second of these the jury members were perhaps unfamiliar as well. baronmax wrote: OK, here's a test for you. Is the track through the Olive Green NW of 11 in bounds or out of bounds? I always thought you weren't supposed to show any detail in olive green oob apart from buildings so I'm going to say its a non-compliant map and therefore an impossible question? Homer wrote: I have a lot of sympathy for the Planner. Some, but not so much. He claims all the maps were checked and clear, then in his article prints a different version: Why? He blames the competitors for not knowing ISOM2017, but himself has to go back and check two days later. I've now seen a competitors map and the out of bounds areas are a weird mess of patches. The road is fairly clearly surrounded by a large OOB area but there is a narrow passage through the OOB off to one side - up a steep hillside with no suggestion of tapes, so competitors heading this way would have to navigate between unmarked OOB areas. 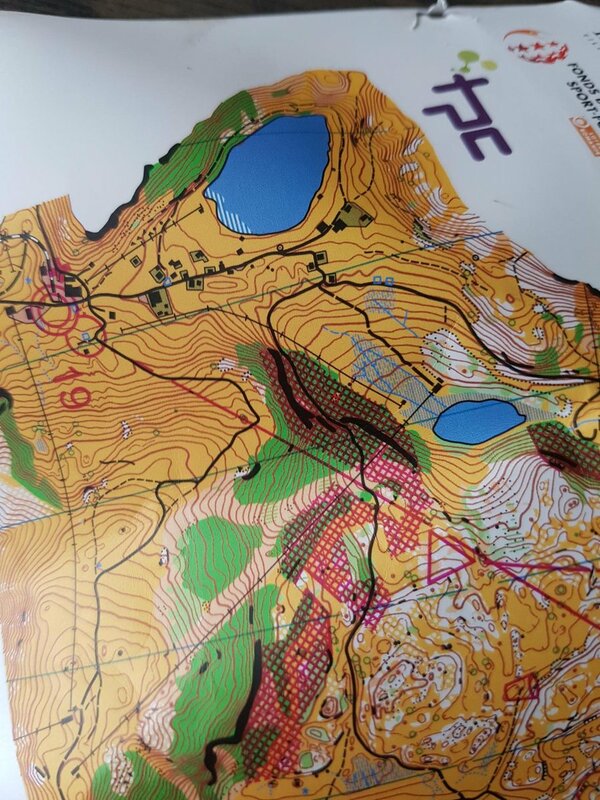 A more fundamental question is why is the map at 1:15,000 - the competition area is about 12cm x 10cm and that includes the long last leg, the first section map would be about 8cm x 8cm. Most legs are about 1-2cm long. The control descriptions are bigger than the area used for the course. The event would have been much improved by using a sensible scale of map - 1:10,000 (though I reckon 1:7,500 would be possible as well). Homer wrote: That said, I still don't understand why the course was planned as it was. The quickest route to the last control is clearly through the OOB. This is asking for trouble. I can't see an obvious reason for the OOB but assume there was some reason other than to create an artificial route choice. If I was Planner (or Controller) I would have come up with something different to avoid the potential (or actual as it turned out) problem. A further very practical point on the JEC OOB debate is that the final details said there would be OOB areas and they would be marked on the map AND on the ground. I don’t know how clear the tapes were on the ground, but if a road is OOB, then there should be clear tapes across it and along it to make it clear that you can’t cross. Planning a course to involve OOB as a route choice is absurd, when there is nothing stopping a competitor breaching the OOB.